I rolled around in bing cherries this week. There is rogue cherry splatter staining every single corner of my kitchen (gotta love a fruit that leaves its personal signature!) 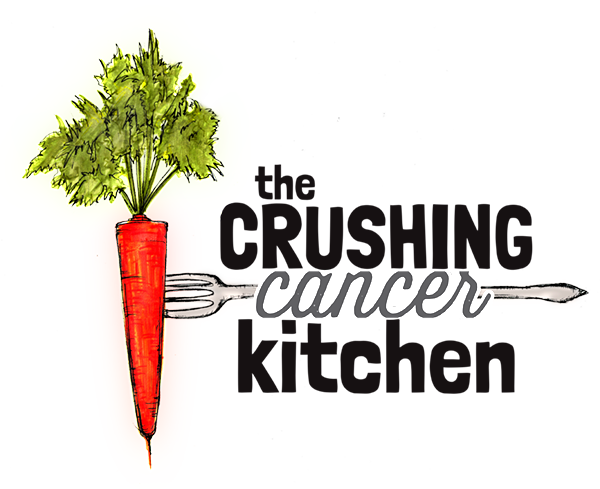 That deep, blood-red colour means that they are loaded with anthocyanins, a type of antioxidant that packs a mean anti-cancer punch. 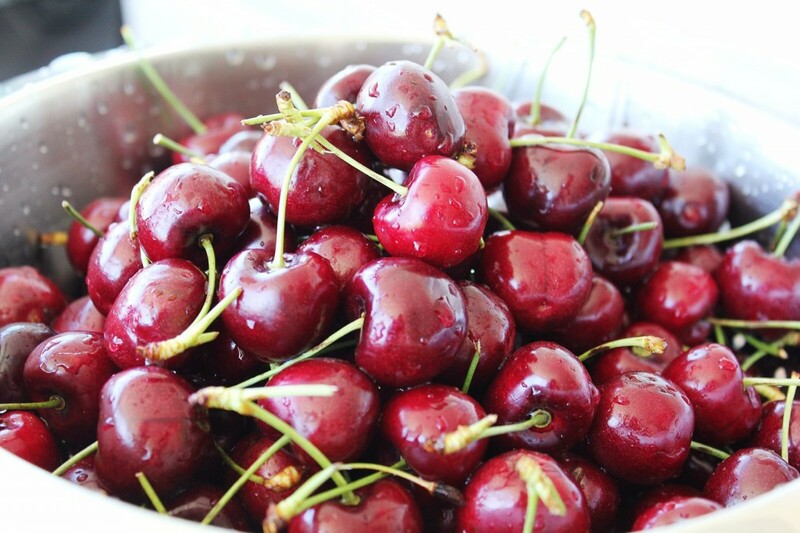 Cherries also lower inflammation, a powerful factor in cancer development (among other diseases). Also, they’re cherries. It’s not like remembering to throw some kohlrabi into your basket the next time you’re at the farmers market, you’re probably eating them right now anyway. And possibly wearing some as earrings. 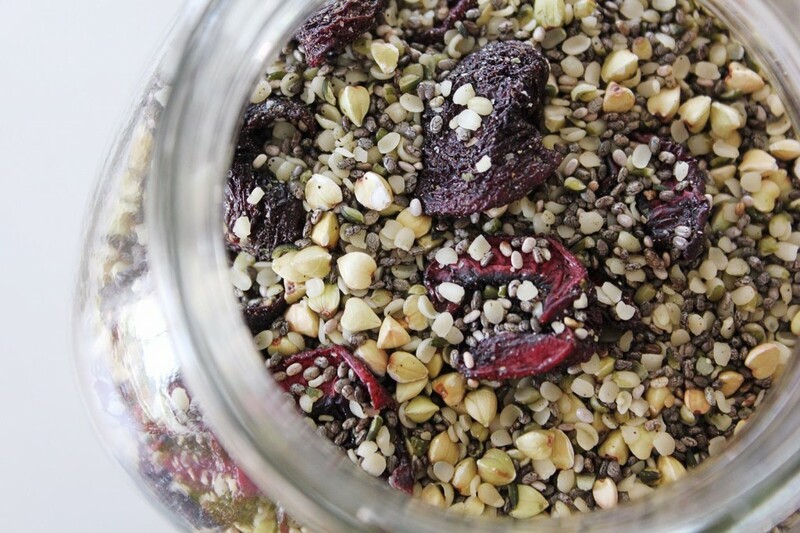 All you need is fresh, ripe cherries, lemon juice and chia seeds. That’s it! 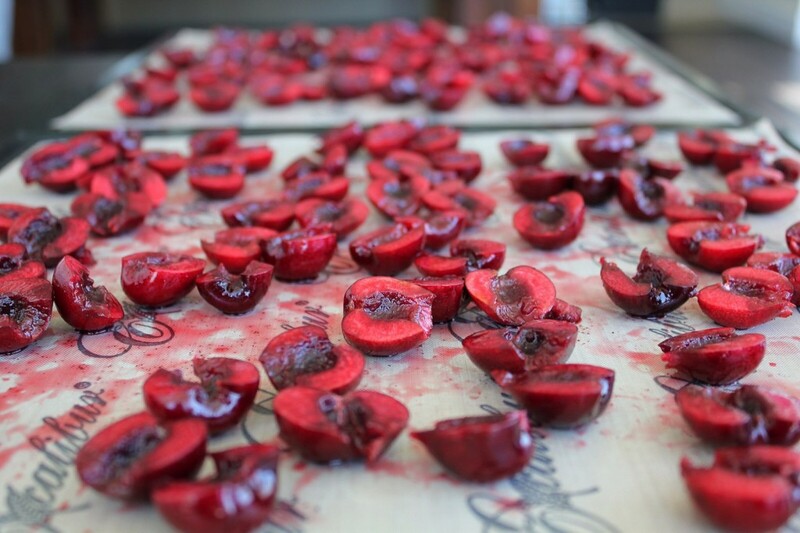 No sugar or sweetener (the cherries should be at their sweetest), no cooking, no pectin. 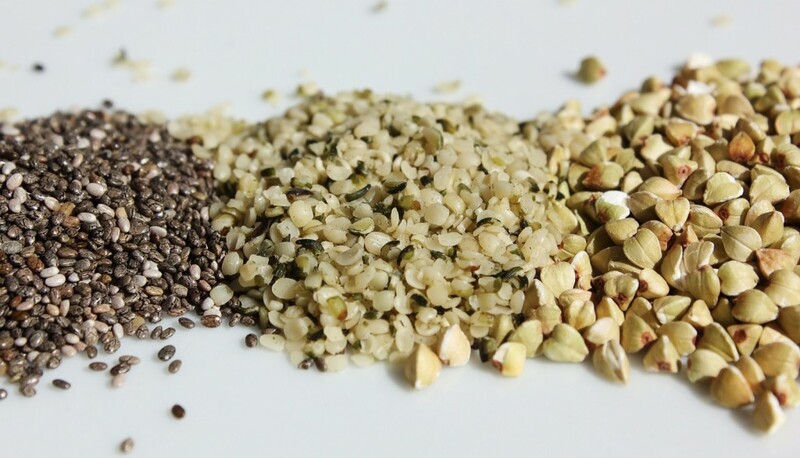 It is thickened using chia seeds, which do a great job of this and also contain, protein, iron and lots of fibre. 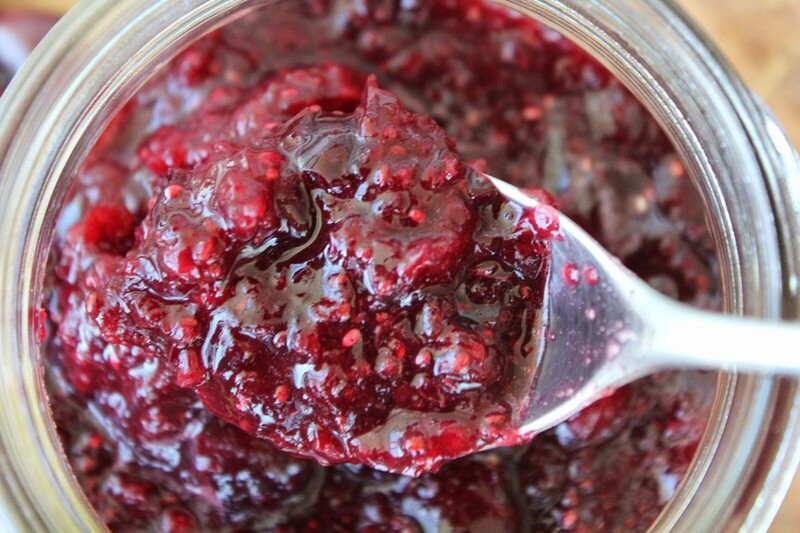 Enjoy it as you would any jam (from a spoon with almond butter….). This is a summery take on the cereal that has become popular in the last few years and costs a fortune to buy at the grocery store. I make it (combine it?) myself (suddenly affordable), and dry the fruit seasonally to add to the simple base of buckwheat, chia seeds and hemp hearts. Lots of protein, healthy fats, magnesium, and that doesn’t even include the cherry’s health stats. 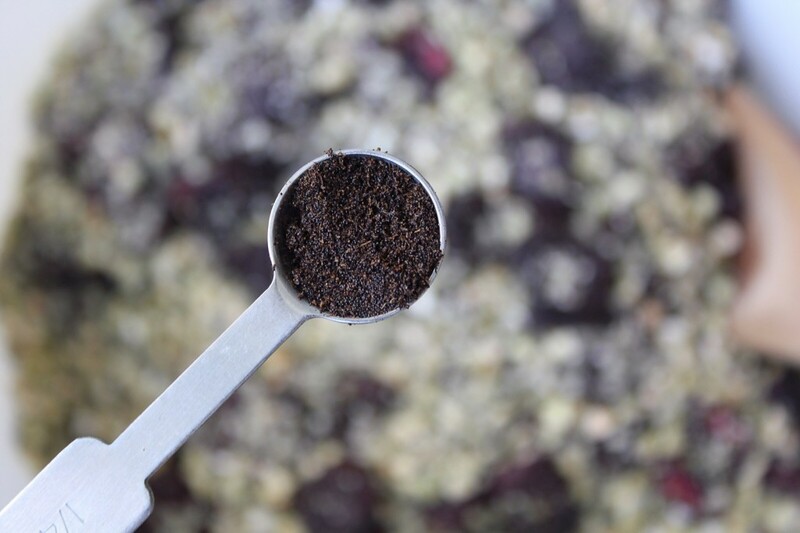 It is crunchy, allergen-free, and the perfect topping to a bowl of fresh fruit with a little fresh nut or seed milk. Hold onto your hats, this is a wild one! 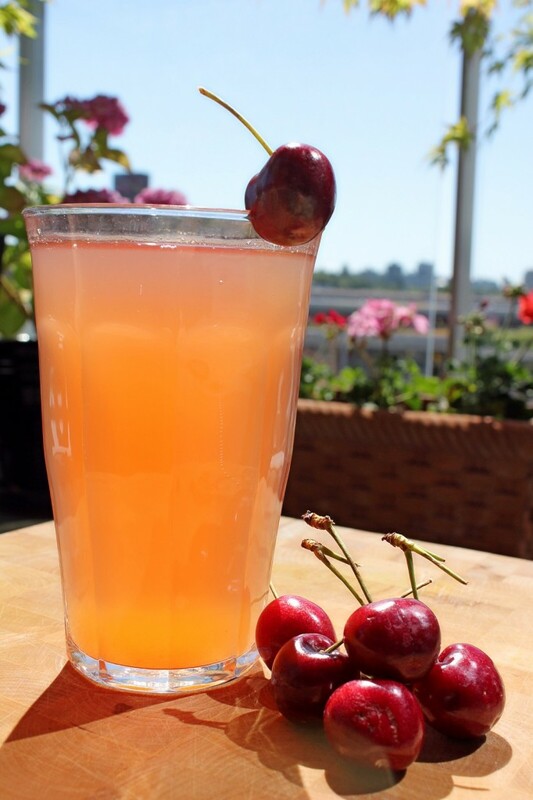 Cherry water is literally cherries, blended into your water. It is not a smoothie, because there is far more water than fruit. It still tastes like water, but with a cherry-flavoured edge. This is a great concept for staying hydrated when water is way too boring, or if treatment has left it tasting metallic to you. Try it with any seasonal fruit or herb (peaches, strawberries, mint, lemon balm, citrus zest). 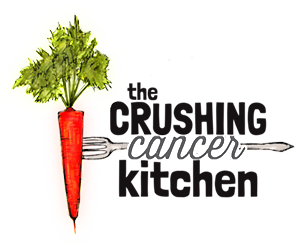 Hydration is so important when you have cancer (for anyone, really, especially in the summer), and sometimes a little creativity can help out in that department. All of these recipes will work with almost any fruit substitution. If pineapples grow up the street from you (lucky! ), embrace that pineapple. If you live in my climate, once blueberries take over for cherries, buy up those blueberries -plums and apricots too. When it’s time for crisp, apples, juicy pears, sweaters and mitts, play around with warmer spices such as cinnamon and ginger too. We don’t have to go there just yet, but it’s nice to be prepared. Mash half of the pitted cherries with a potato masher and mic in the chia seeds. Roughly blend (not too smooth) the other half using a hand blender, blender or food processor. 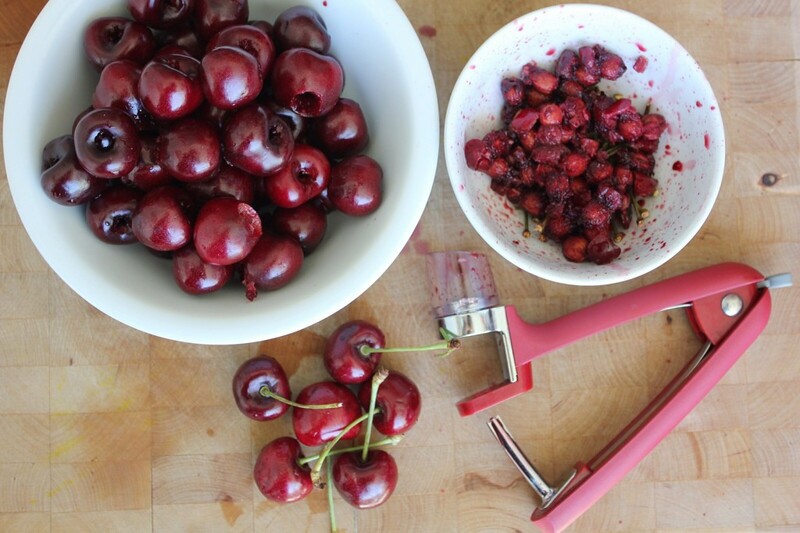 Add the puree back into the mashed half of the cherries and chia, and mix well. The chia takes 15 minutes or so to thicken. This will keep covered, in the fridge for 3-4 days. This keeps covered, in the fridge for a month. It freezes well too. 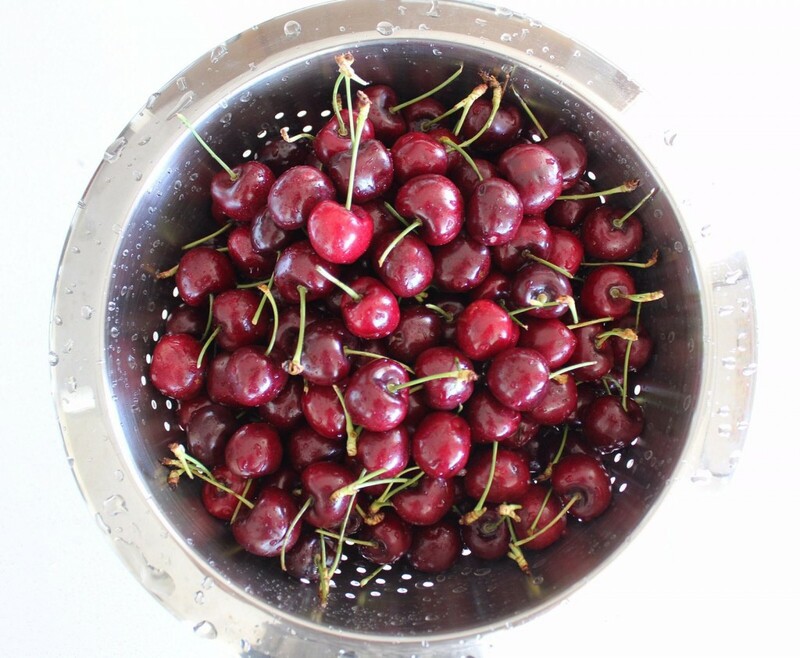 In a blender, blend together the pitted cherries and water until well blended, and there are no visible 'bits' left. Replace a cup of ice for a cup of water if you want it cooler (in hotter months).